Leslie standing next to her poster at TAS. Analysis of botanical samples from rockshelter sites in two different ecological areas of Texas highlight the exceptional value of such sites for paleoethnobotanical research but also the complexities of botanical preservation within and between shelters. In Eagle Nest Canyon, a tributary of the Rio Grande River in the northeastern Chihuahuan Desert, delicate and uncarbonized plant parts such as lechuguilla fibers and bristlegrass chaff are preserved along with the tough, carbonized plant parts that are typically found on open air sites in the area. Preservation does not follow a simple, improving gradient of preservation from the front to the back of the shelters, however. In the more humid climate of central Texas, ancient plant remains at the Barnhill #3 Site (41CV1646) are completely carbonized, or nearly so. Although uncarbonized plant parts are not preserved, the rock shelter provides conditions for the preservation of delicate plant parts such as grass stems and wind-dispersed seeds that are rare to absent on open air sites in the region. Plan map of Kelley Cave showing 2013 excavations. Feature 1, identified at the modern surface, consisted of multiple ash lenses with reddened soil at the base. 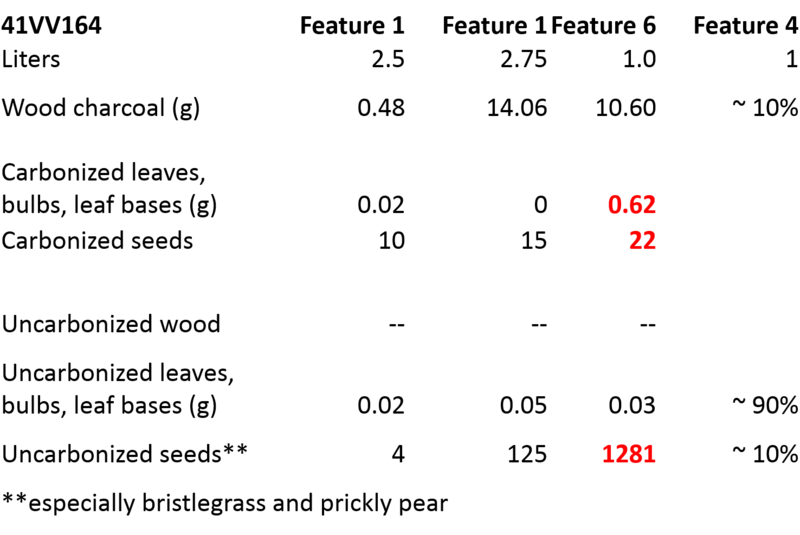 The lack of correlation between bone, debitage, and dung fragments in the Feature 1 level of the cave reflects human digging and rodent turbation (Rodriguez 2015:162). This feature contained less plant material per liter than Feature 6, which was also a burning context. Feature 4, identified at the surface, dates to roughly 600 cal B.P. It included dense layers of fiber detritus beneath a layer of compacted mud. Sorting and identification of the rich assemblage of plant material in Feature 4 is ongoing, but many leaves and fibers of agave and similar plants and onion bulbs are present. Some carbonized plants are present, but these are mostly wood charcoal and are estimated at ten percent or less of all plant remains. Feature 6 was encountered at 140 cmbs and dates to roughly 7400 cal. BP. It is interpreted as a series of overlapping rock-lined pits, with the lower rocks heated in place. No rodent burrows were visible in feature exposures (Rodriguez 2015:126). Insect (termite) and rodent (mouse) feces were recovered in flotation in carbonized form, but the plant remains most likely to represent rodent use (grass and prickly pear seeds) are uncarbonized. It contains more plant material per liter, both carbonized and uncarbonized, than Feature 1. Summary: The presence of plant remains in particular contexts within Kelley Cave is conditioned both by the types of activities represented (cooking/burning in Features 1 and 6 versus raw plant deposition in Feature 4) and taphonomic processes. Preservation is mostly through carbonization in Features 1 and 6, but a mud drape at the top of Feature 4 led to the preservation of more uncarbonized plant material there. 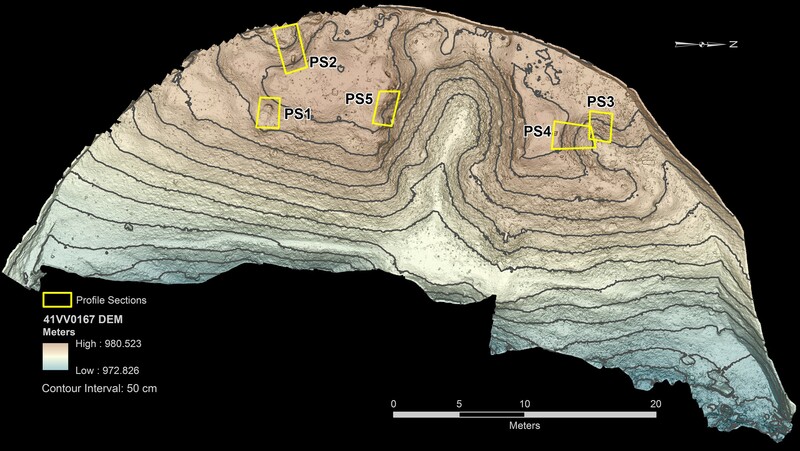 The lower depth of Feature 6 contributed to better plant preservation than in Feature 1 because it afforded better protection from later events such as pit construction and modern looting. The deposition of the mud layer in Feature 4 demonstrates that unique events can produce good preservation of large quantities of uncarbonized plant material at shallow depths in specific locales. Plan view of Eagle Cave showing the location of the 5 Profile Sections excavated in 2014. PS4. Deposits in this area reflect mixed discard of refuse from cooking, plant processing and possibly other activities. Three samples, including one from feature context (Feature 2) yielded both carbonized and uncarbonized remains of wood, leaves, bulbs, and seeds. Density of several classes of plant remains (wood charcoal, carbonized leaves and bulbs, and uncarbonized seeds) was higher in the feature context than in other samples. PS3, located at right angles to PS04, is an ash lens that contained carbonized wood, leaves, and bulbs. The sample comes from beneath a heating element, but it is not clear whether that heating event carbonized PS3 plant material. Uncarbonized plants were limited to three fragments of hackberry seeds, which are particularly durable and occur even in pre-Holocene geological deposits (Wang et al. 1997). Summary: The presence of botanical material in Eagle Cave deposits is conditioned by the type of deposit and taphonomic processes. In PS4 the concentrated focus of human activity represented by Feature 2 produced a greater density of plant remains than other samples in PS4. In PS3, only carbonized plants were preserved, suggesting that uncarbonized plant material succumbed to taphonomic processes that were not operating in PS4 despite the proximity of the two units, possibly due to higher moisture coming from the shelter wall. 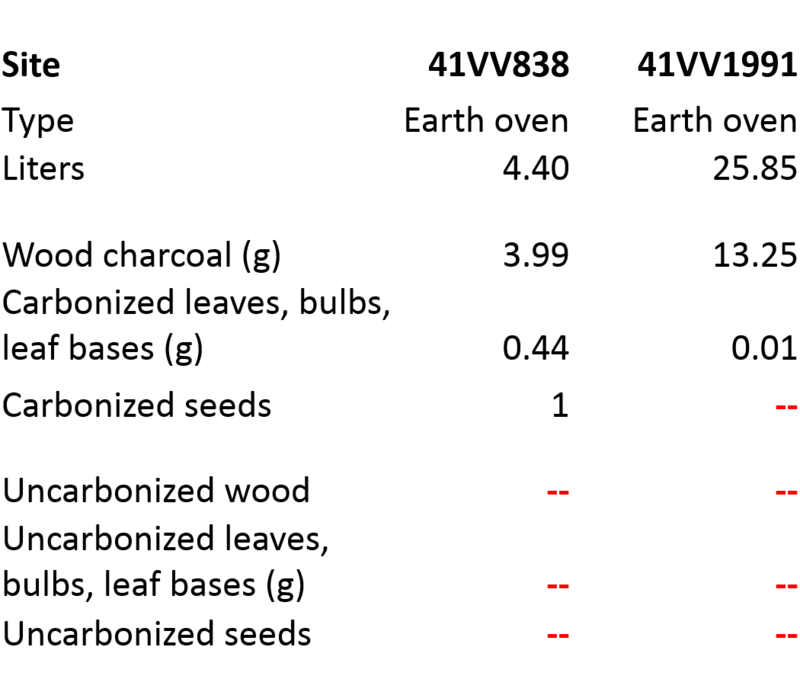 Interestingly, PS3 is farther from the cave mouth than PS4, indicating that a simple gradient of increasing preservation from dripline to back wall does not apply. Two open-air sites in Val Verde County preserve only carbonized plant remains and few small seeds (see chart below and compare to the materials, especially uncarbonized plant parts, in the two charts above). Eagle Nest Canyon samples have these plant remains in abundance and provide unique opportunities to access this part of prehistoric subsistence (see also A Curious Artifact Comes to Light). Yucca seeds from Eagle Cave Feature 2. Cord-wrapped bundle as initially exposed. Plan map of Barnhill #3 Rockshelter. Twenty-six flotation samples from ten features within the shelter and two off-site samples were examined. In this Central Texas shelter, only carbonized archaeological plant remains survived. Earth ovens yielded wood charcoal, bulb fragments including camas and wild onion, nutshell (hickory, walnut, and acorn), and 123 small carbonized seeds. A corn kernel fragment was present in one earth oven sample. Charcoal/ash deposits/middens contained wood charcoal, bulb fragments including wild onion, nutshell (hickory, walnut, pecan, and acorn), and 207 small seeds. 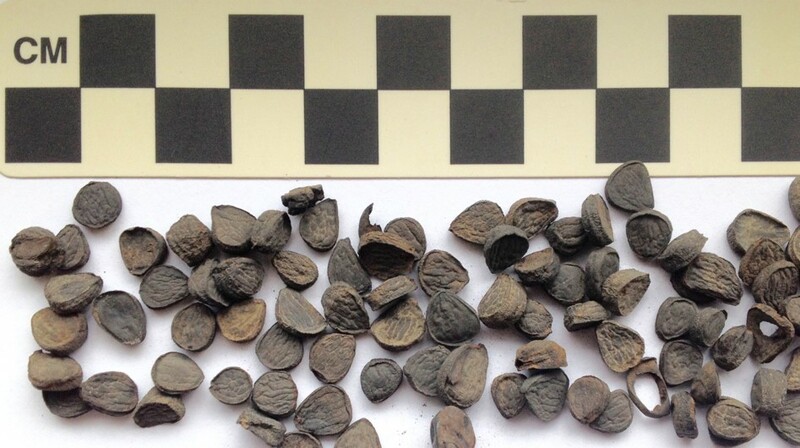 The number of samples analyzed from hearths was smaller, but they included wood charcoal, an unidentifiable bulb fragment, and 59 small, wild seeds. Only a single pit sample was analyzed. It contained hickory and black walnut nutshell, wood charcoal, and 17 small seeds. 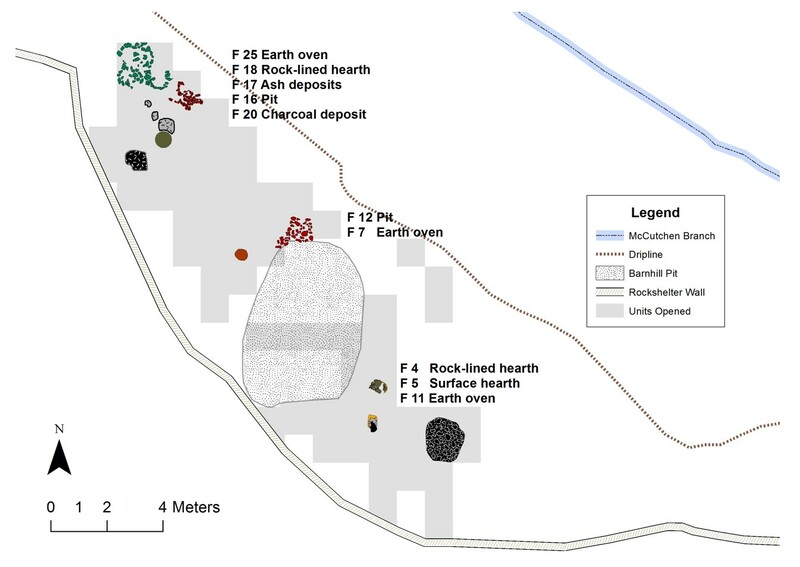 Summary: Plant density at Barnhill #3 is conditioned by feature type, with earth ovens and charcoal/ash deposits/middens having higher botanical density than hearths or the pit feature. Although plant density is higher in the southeastern portion of the site, this seems to be due to the unusual density of charcoal in one sample from Feature 11 (F6-2013; 20.92 g/liter) rather than a true reflection of higher charcoal density in the southeastern area as a whole. vetch from Feature 25 (left-center) and maygrass from Feature 7 (right-center); Wild tobacco (right). Uncarbonized plants do not survive at Barnhill #3 as they do in the Chihuahuan Desert shelters, but the protection of the shelter allows for much better carbonized plant preservation than is usual in limestone regions (Braadbaart 2009). Bulb fragments and, especially, small seeds are present in much higher numbers than on other sites in Coryell County. unique events (mud drape on Feature 4). Many thanks to Jack and Wilmuth Skiles and John Barnhill for their good stewardship and site access, and to the Texas Parks and Wildlife Department for use of unpublished data. *“Preservation” is used here as a catch-all for the sum total of the processes, natural and cultural, pre- and post- and depositional, that contribute to the presence of plant remains in a particular context. 2009 Preservation Potential of Charcoal in Alkaline Environments: An Experimental Approach and Implications for the Archaeological Record. Journal of Archaeological Science 36: 1672–1679. 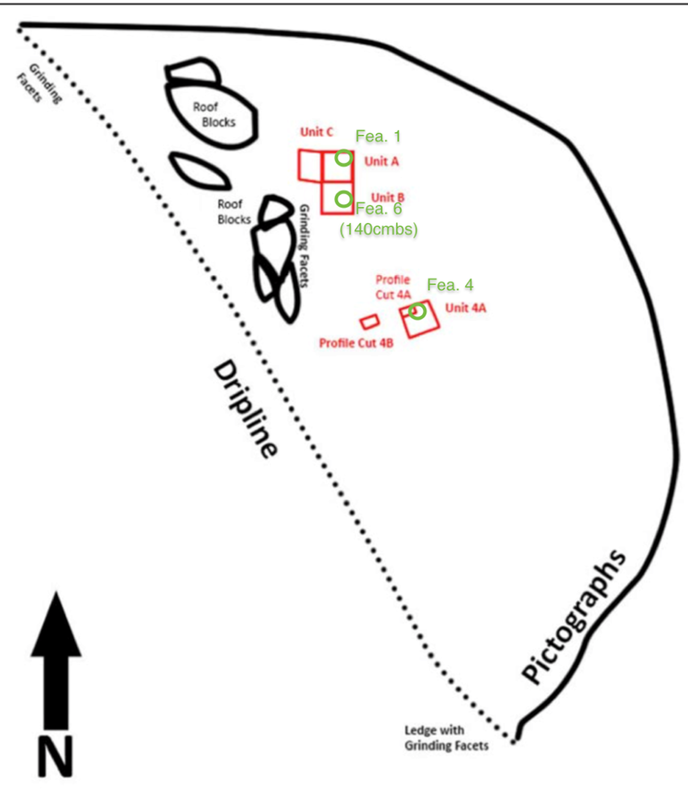 2015 Patterns in the Use of the Rockshelters of Eagle Nest Canyon, Langtry, Texas. Unpublished M. A. thesis, Department of Anthropology, Texas State University, San Marcos, Texas. 1997 Potential for 14C Dating of Biogenic Carbonate in Hackberry (Celtis) Endocarps. Quaternary Research 47: 337–343. 2010 Plant Remains from Site 41CV389, Fort Hood, Coryell County, Texas. Report submitted to SWCA Environmental Consultants, Austin, Texas, February 5, 2010. 2011 Plant Remains from Site 41CV286, Coryell County, Texas. Report submitted to Prewitt and Associates, Inc., Austin, Texas, February 5, 2010. 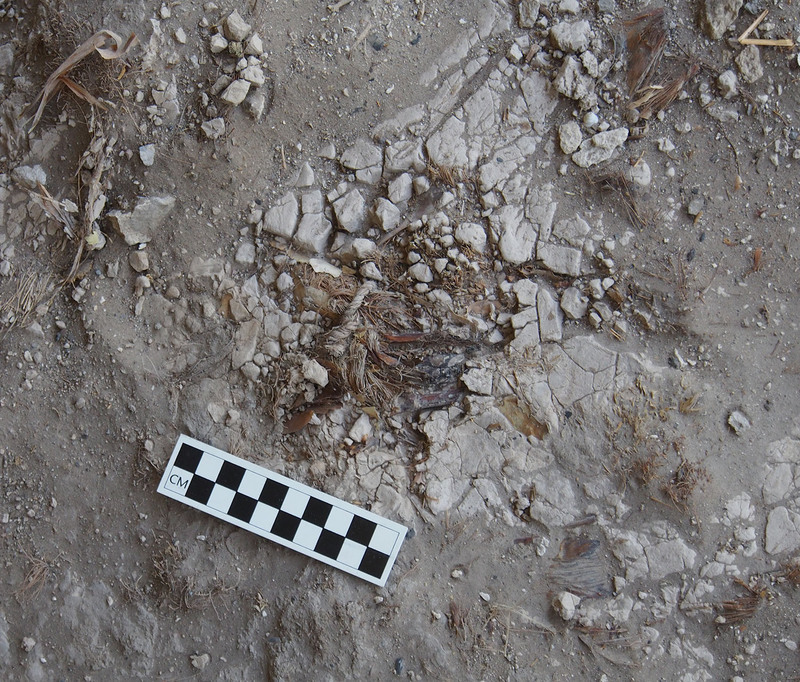 2015 Plant Remains from 2015 Excavations at Barnhill Rockshelter #3 (41CV1646), Coryell County, Texas. Revised report submitted to Department of Anthropology, Baylor University, Waco, Texas, September 28, 2015. 2015 Earth ovens, Geophytes, and Microfossils: Investigating Burned Rock Features and Archeobotanical Remains on Fort Hood, Central Texas. United States Army Fort Hood Archeological Resource Management Series Research Report No. 65. January 2015. 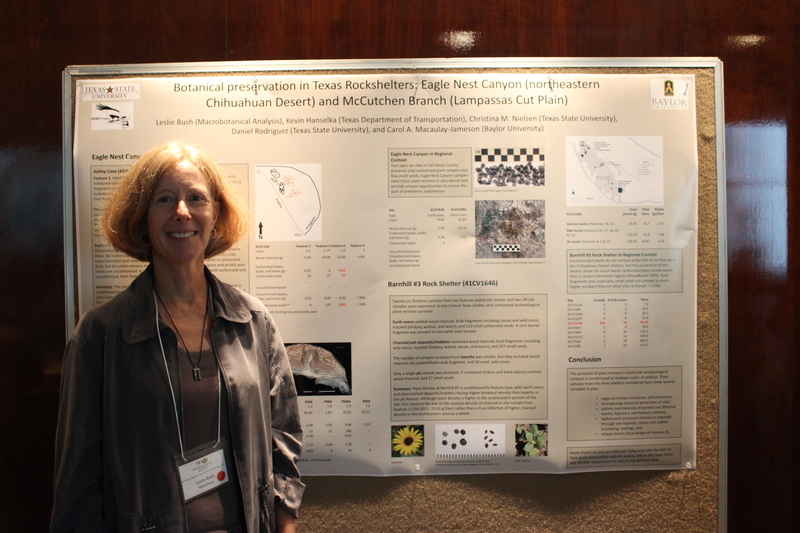 This entry was posted in 2015 TAS Poster Symposium, Paleoethnobotany. Bookmark the permalink.